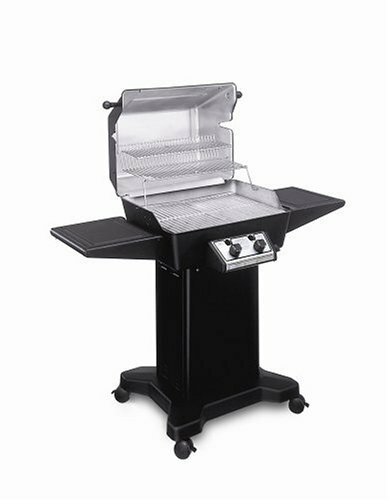 Outdoor chefs will love this cast-aluminum gas grills high-quality construction, powerful, even-heating burners, and sleek, streamlined styling. A generous 436 square inches of total cooking space means its easy to grill several dishes at once or cook for a crowd. Two stainless-steel burners produce a total of 25,000 BTU per hour--enough firepower to thoroughly sear meats for maximum flavor. Durable stainless-steel Sear Grid cooking grates supply heat distribution and are simple to clean. 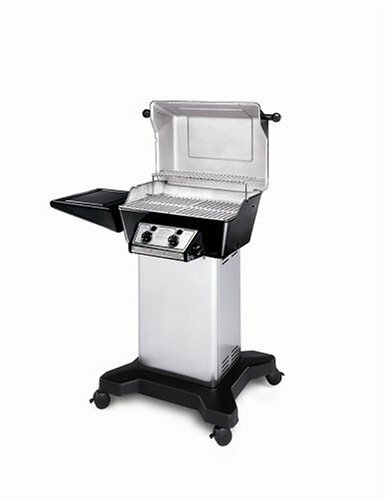 The quality of style and materials is top notch.With a cast aluminum body and all stainless parts inside, this grill will last and last.The heating is incredibly even across the entire grilling surface and it does put out plenty of heat. I was worried that this grill might be a little small, but found it to be as large as my 3 previous cheapy grills (such as charbroil) that rust out after 2-3 years.It should be ample to grill for a family of 3-4 every day. 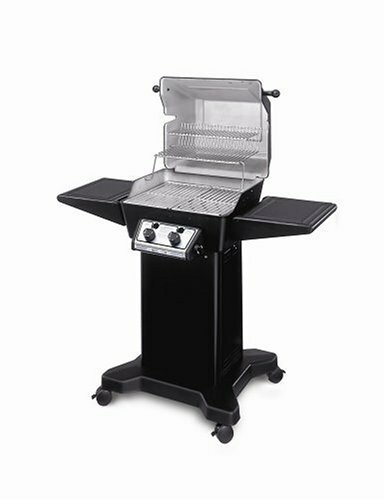 Outdoor chefs will love this cast-aluminum gas grills high-quality construction, powerful, even-heating burners, and sleek, streamlined styling. A generous 688 square inches of total cooking space means its easy to grill several dishes at once or cook for a crowd. 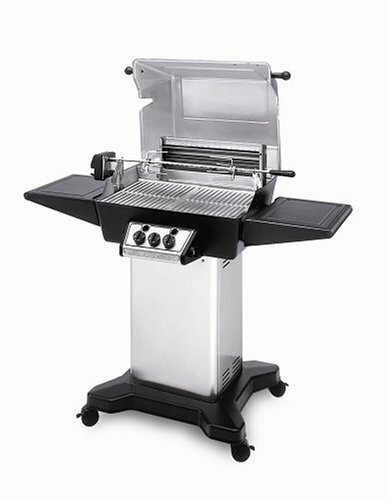 Two stainless-steel burners produce a total of 32,000 BTU per hour--enough firepower to thoroughly sear meats for maximum flavor. Durable stainless-steel Sear Grid cooking grates supply heat distribution and are simple to clean. Outdoor chefs will love this cast-aluminum gas grills high-quality construction, powerful, even-heating burners, and sleek, streamlined styling. A generous 545 square inches of total cooking space means its easy to grill several dishes at once or cook for a crowd. 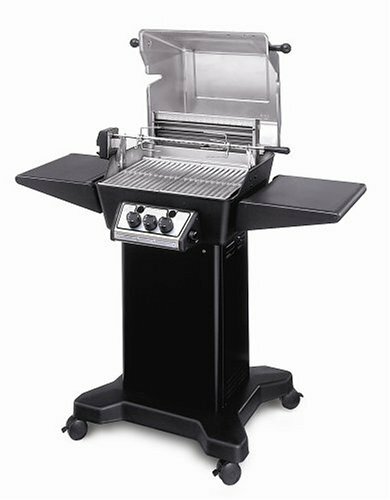 Three stainless-steel burners produce a total of 30,000 BTU per hour--enough firepower to thoroughly sear meats for maximum flavor. Durable stainless-steel Sear Grid cooking grates supply heat distribution and are simple to clean. You can even slow-roast whole chickens or turkeys using the dedicated, 12,500-BTU rotisserie burner. A continually rotating spit produces a moist, flavorful, self-basting bird. Plus, Ducanes unique open-flame Rotis-A-Grate cooking system provides heat behind rather than under cooking meat, eliminating flare-ups and burnt flavors caused by juices dripping down into the flames. Outdoor chefs will love this cast-aluminum gas grills high-quality construction, powerful, even-heating burners, and sleek, streamlined styling. A generous 445 square inches of total cooking space, means its easy to grill several dishes at once or cook for a crowd. 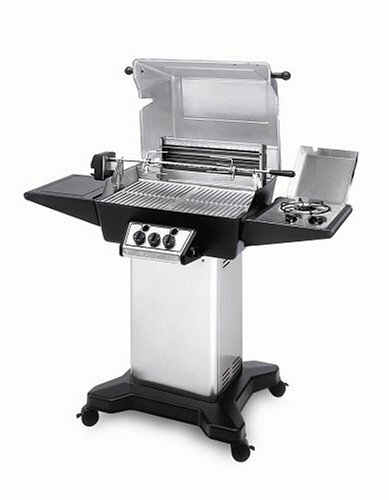 Two stainless steel burners produce a total of 25,000 BTU per hour-- enough firepower to thoroughly sear meats for maximum flavor. 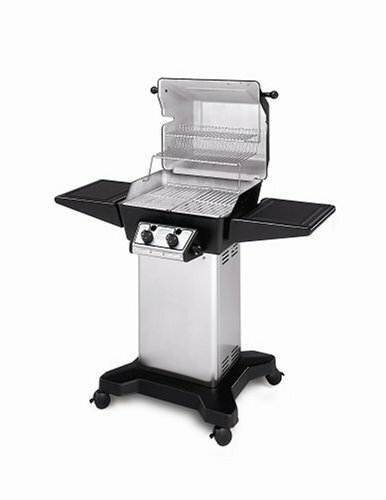 Durable stainless steel cooking grates supply heat distribution and are easy to clean. You can even slow- roast whole chickens or turkeys using the dedicated, 12,500-BTU rotisserie burner. A continually rotating spit produces a moist, flavorful, self-basting bird. Plus, Ducanes unique open-flame Rotis-a-Grate cooking system provides heat behind rather than under cooking meat, eliminating flare-ups and burnt flavors caused by juices dripping down into the flames. 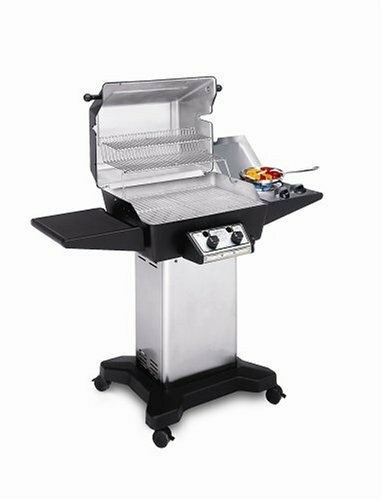 Outdoor chefs will love this cast-aluminum gas grills high-quality construction, powerful, even-heating burners, and sleek, streamlined styling. A generous 688 square inches of total cooking space means its easy to grill several dishes at once or cook for a crowd. 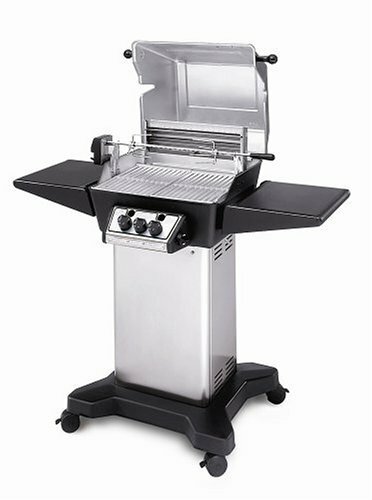 Two stainless-steel burners produce a total of 32,000 BTU per hour--enough firepower to thoroughly sear meats for maximum flavor. Durable stainless-steel Sear Grid cooking grates supply even heat distribution and are simple to clean. 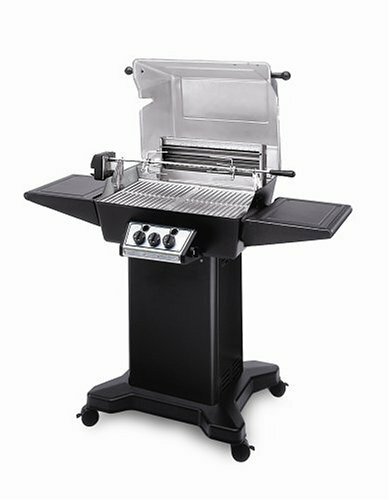 With lid open grill measures 59" x 56" x 35"